Whenever you’re moving a small home, office or perhaps a just a few things down the road, hiring a Man with a Van or a van with driver is simply the quickest and most efficient moving solution. It’s often the case that when people think of moving something, they often picture lorries and instantly worry about manoeuvrability since in some residential areas, roads can be tricky to drive through even with a car. Rapid Removers can provide large as well as smaller vans for smaller moves and where access is very limited; so you won’t need to worry about small things like the above. Hiring a Mover with a van or a Man and Van in London or Greater London is a cheap and quick solution if you’re moving a small number of items even a single item such as a small sofa, single bed, 10 boxes, a bicycle, fridge, etc. Also we provide this service anywhere in Greater London and can be used both for short and long distance destinations. The drivers also have extensive knowledge of London and Greater London so you can rest assured your possessions will get to their destination quicker even if there is traffic due to accidents or road works on the main roads or highways. 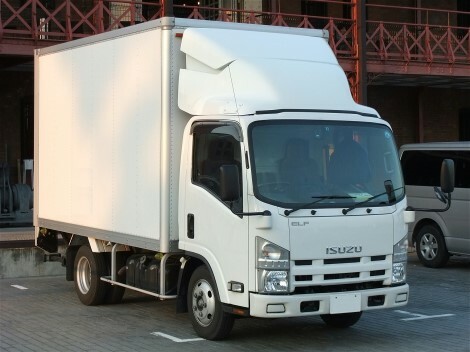 How London Man and Truck can make your move easier! 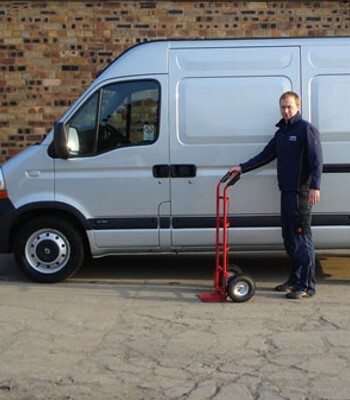 The Man and Van service provided by Rapid Removers is one that you won’t have problems with. Our trucks are fully equipped with tools and moving equipment to ensure you get a professional service. We have updated satnav systems so you know we won’t get lost (or your goods) and to ensure all your possessions get moved from the pickup to the delivery address as quickly and as smoothly as possible. The moving vans are equipped with transit blankets, trolleys, straps, ties and a lot more to ensure everything is secure before leaving and to make sure everything is safe during your move. If you lack time or need an extra set of hands to make you feel at home again, our moving men can help you pack and unpack on the day. We can also provide packing materials such as cardboard boxes, tape, bubble wrap and much more before your moving date. The van with driver from London can also help you load and unload the van on a room to room basis as well as place them in your desired place and position inside your new property. All our moving vans have a toolbox, so If you need some extra help assembling any furniture like tables, chairs, beds, desks, etc. your man with a truck will be ready to help! A Mover that strives for the best! Our aim is to provide an outstanding moving service to all our customers, and we've become very good at it! Give us a call today to discuss your moving needs or fill out the online form and we'll get back to you with a discription of the service we'll provide you as well as you personalised moving quote!